The three firefighting dogs on this hoodie are duty bound to keep mini station staff toasty. 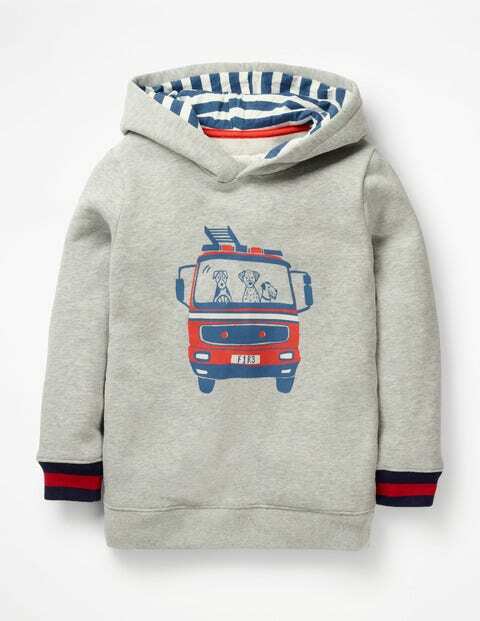 Brush-back cotton, a lined hood, ribbed detailing and fire engine motifs on the front and back are on hand to help as well. Side seam pockets store goodies to snack on – great for refuelling after saving cats up trees.